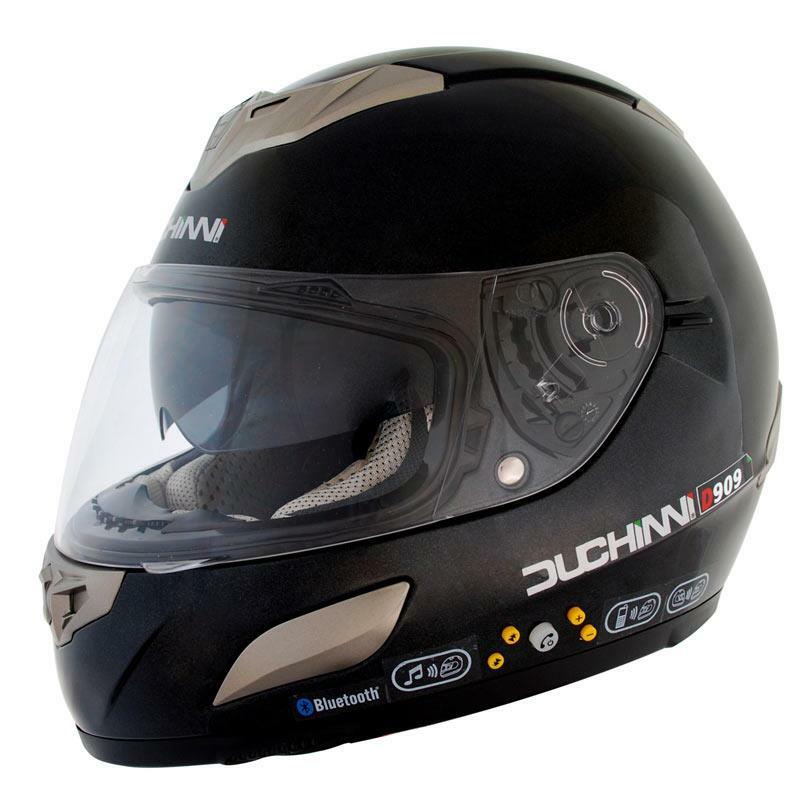 A new addition to the affordable, Duchinni range of motorcycle helmets by Bifax has the latest Bluetooth technology. The D909, with built-in receiver and stereo earphones, provides wireless data and voice communication on the move at the touch of a button. Paired with another D909 helmet it also acts as an intercom between rider and pillion passenger. The helmet is compatible with Bluetooth-enabled mobile phones, MP3 players, iPhones and GPS systems. The D909 has an integral drop-down sunshield and a six-position adjustable clear visor, it is available in two shell sizes and two EPS sizes and made of special high-impact ABS. It has a removable and washable super-absorbent 'Wick-Dri' anti-static lining. The helmet also features chin, forehead, cheek and rear vents for superior ventilation. The D909 is available in two colours - matt black and titanium and in sizes XS to XXL .